Omar Amadou Jallow alias OJ Jallow Ex. Minister under the PPP regime of Jawara told the TRRC Commissioners that he was at one time stripped naked and beaten until his cloths had stains of blood all over.OJ is the 13th witness who appeared before the Truth , Reconciliation and Reparation Commission to set light on the events of the 1994 coup. 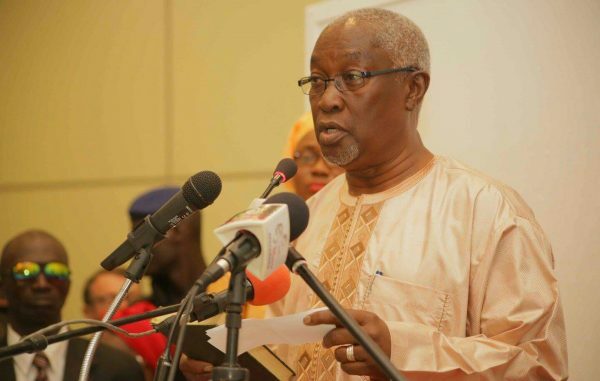 Omar Jallow spoke on the April 10th and 11th students protest in 2000, and said it was the former Vice President Isatou Njie Saidy who was around when students were killed after a peaceful demonstration in 2000. However in his testimony he argued that “Yahya Jammeh, alone didn’t commit all the bad things that took place in the country. In fact the Jammeh government killed 14 children on one morning, he was not here as he was on one of his overseas trips. It was the Vice President who was here why is it that we haven’t asked her till today and who was behind the instructions to shoot the students, “Jallow said. According to Jallow, none of the ministers at the time had resigned in protest of the act of shooting and killing innocent students. “The Minister of Justice at the material time Late Cheyassin Secka, when investigated and found out who killed the children and wanted to take them to court, it was Yahya Jammeh who sacked him. What he Jammeh did, was to go to the National Assembly to pass a legislation that barred anyone from taking those people who carried out the shooting to court. Omar Jallow said he was arrested several times under the Jammeh regime. The former PPP minister argued that government should make sure that security institutions are entrench, so that no President can just go and change the laws like the way Yahya Jammeh was doing for selfish interest. 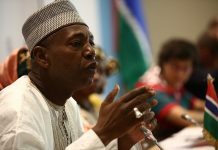 Jallow told the TRRC that Gambian people should learn to forgive adding that the Gambia have two enemies “our people in uniform and the intellectuals and that’s why I never support the establishment of an army. I always want the Senegalese to stay in the country, if that happen the coup would not have not taking pace” he disclosed. Jallow recalled Fafa Mbaye, who was then a Justice Minister under the Junta who told him that they are going to execute him (OJ), “We were lined up in the morning and Fafa Mbaye, came and told us that we have committed crimes and we should be executed but they will released others except me (OJ) that they will execute me. He said as his friends left him at NSS, some of them were crying and Landing Jallow Sonko left a ‘charm’ in his hands. “And I told him to pray for me”. Jallow and other senior government officials and security heads were arrested, and detain at various cell shortly after the 1994 coup. “We were once visited by Yahya Jammeh and he told us that our government was involved in rampant corruption”. Jallow stressed that each time he was arrested; he is tortured and subjected to all forms of degrading treatment. At one point, the veteran politician said he was stripped naked at Mile 2 beaten until there was blood all over his cloth.